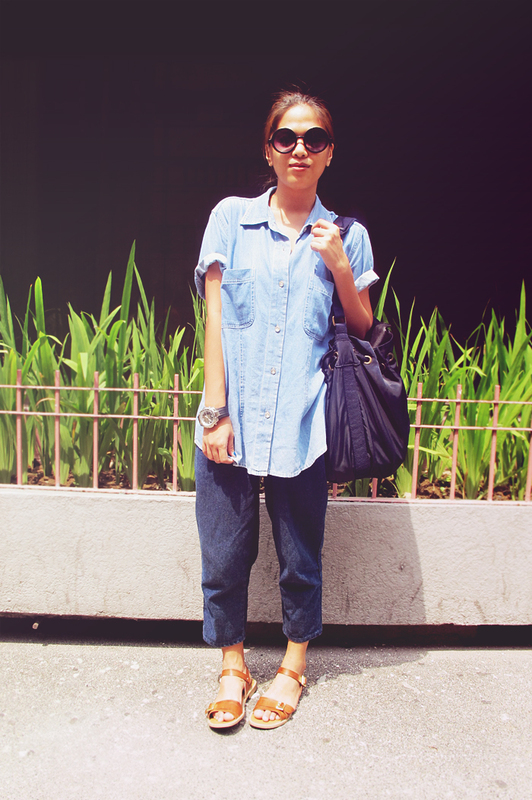 my mom’s chambray shirt, thrifted cropped pants, Payless sandals, Gap bag. Yesterday: AM: writing. Lunch: with Justine. PM: got some checks (about 2 months’ worth of different types of work) and like a good girl put ’em in the bank!